Prescription and Non-prescription Drugs for Men's Potency Enhancement. Sexual disorders in men are treated differently. Thankfully, the times when men had to undergo painful and shameful procedures before every sexual encounter in order to restore their erection have almost melted away. Today, irrespective of the reason and nature, most sexual dysfunctions are treated with oral tablets. This practice is widely spread in all the countries of the world. Certainly, the most common complaints of men relate to potency. Unfortunately, natural processes are inevitable: there are no magic pills that could turn a middle-aged man into a young guy again or give him sexual capabilities of a 20-year-old. However, modern pharmacology can offer quite interesting and effective solutions for most cases. For example, today, even a 60-year-old man can get Cialis online and acquire almost unlimited abilities in bed. But is everything that simple? Let’s try to sort it out. Speaking of medicines for improvement of men’s potency, we can distinguish two major groups – synthetically produced drugs for the treatment of the disorder and natural or herbs-based remedies. The latter can be used both for prevention and treatment. 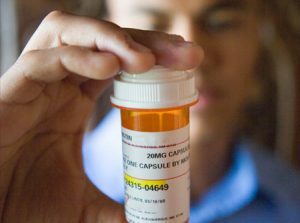 Another classification supposes division into prescription and non-prescription drugs. Rules of sale differ in different countries. As for the USA, where the two classifications usually comply with one another – synthetic drugs are sold by prescription, while herbal supplements are available over the counter. 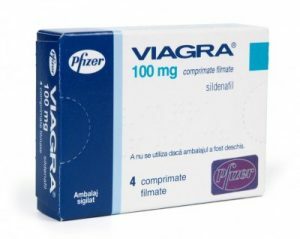 In particular, Viagra and Cialis can’t be bought without a valid prescription both online and offline, while herbal remedies, for example, those containing Yohimbe or aphrodisiacs can be easily accessed at any retail store. Let’s review both categories in detail. 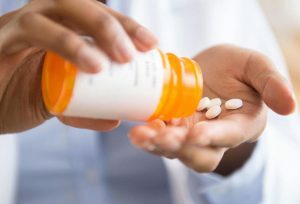 The category of prescription medicines for the treatment of the main men’s sexual complaint includes well-known PDE-5 inhibitors – Viagra, Cialis, Levitra and their analogs. To get any of them in America legally, one needs to visit a health care practitioner. Their OTC sale is forbidden by law. 1. They can cause serious, residual effects, especially in those who have problems with the heart. The risk group also includes men with chronic diseases, obese men, and men over 60 years old. 2. 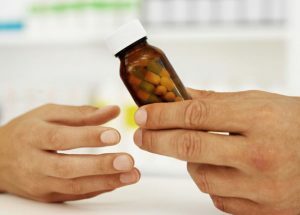 Uncontrolled or incorrect use of these meds can worsen the problem instead of treating it. You never know for sure what the disorder is caused by. Sometimes, it is easier to eliminate its reason, and the symptoms will go away, than try to suppress these symptoms with drugs. Keep in mind that though these medicines are effective, they are not a panacea. This category includes different types of food supplements. According to American laws, they are not drugs and are generally available. No surprise that the variety of herbal supplements in the market is really impressive. They can have different compositions and different intended uses. Most of them are good as a prevention tool. If a supplement contains essential oils, vitamins and micronutrients, its regular use really helps to strengthen male health, raise testosterone, improve potency quality, and slow down the aging process. At the same time, some of the non-prescription remedies can be efficiently used at the initial stage of erectile dysfunction development. Of course, you are in any case recommended to consult a specialist first. If your doctor approves treatment with herbal remedies – why not try it. Common supplements that are used for ED treatment contain ingredients that stimulate and intensify blood circulation, acting like a small Сialis dosage. Also, such type of therapy can be recommended to those who are allergic to the components of chemical drugs or can’t tolerate them. A gradual reducing of a sexual function is quite normal for men in the course of aging. You can’t completely avoid or prevent it. But you can slow down this process and postpone potency decreasing, leading to a healthier lifestyle while eating the right foods and supplements. If, despite all your efforts one day you faced with the first symptoms of erectile dysfunction, please, don’t self-medicate. Go to a specialist and get a prescription or recommendations. And keep in mind that in many cases ED can be cured.